The second in the Hampstead Murders series opens with a sudden death at an iconic local venue, which some of the team believe may be connected with an unsolved murder featuring Cold War betrayals worthy of George Smiley. It soon emerges that none other than Agatha Christie herself may be the key witness who is able to provide the missing link. 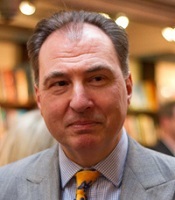 As with its bestselling predecessor, Death in Profile, the book develops the lives and loves of the team at ‘Hampstead Nick’. While the next phase of a complicated love triangle plays itself out, the protagonists, struggling to crack not one but two apparently insoluble murders, face issues of national security in working alongside Special Branch. 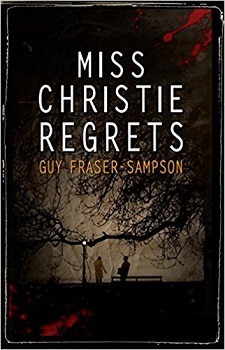 On one level a classic whodunit, this quirky and intelligent read harks back not only to the world of Agatha Christie, but also to the Cold War thrillers of John Le Carre, making it a worthy successor to Death in Profile which was dubbed ‘a love letter to the detective novel’. Superintendent Simon Collison is working a murder case, one regarding the death of a Peter Howse, who was found at his desk, in his room, at Burgh House, an art gallery/exhibition centre, with what looks like a blow to the head by an old police truncheon. Working alongside him is DS Karen Willis, DI Bob Metcalfe, and DC Priya Desai. With four suspects, the case takes a strange twist when another body is discovered not too far away, at the old Isokon building. This body has been hidden for many years, with the police estimating that the killing took place somewhere between late the 1930’s, and early 1940’s. A connection is soon made between the two murders. Peter was working on a project about the building. One of the suspects is a grandchild of a former resident, plus there were lots of strange goings-on at the Isokon building in the late 1930’s. It’s up to the detectives to confirm if there is a direct link, and find their killer. The process though is hampered by information being held by special branch; information that is regarded as top secret. Can letters from a former resident during the late 1930’s, one Miss Agatha Christie, hold some key information? I have awarded the book four and a half stars, out of five, due to the fact that I was thoroughly hooked from the start, and I had a need to know what had occurred, and why. I found it hard to put down, and kept on telling myself, ‘just one more page’. I enjoyed getting to know the main characters, and found them easy to get a feel for, however I found the relationship triangle between Bob, Peter (a different one from the deceased), and Karen was rather far-fetched, and didn’t interest me in the slightest. In my opinion there really was no need to add a love story to a thriller/crime book. I haven’t read the first book in the series, and have been informed that the triangle started in that book. The plot was quite slow. It was more about the police work, and how they went about catching the killer, more than a gritty crime novel. There was a lot of new information being added to the case all the time, and some twists to the story, some predictable, others not so much. It reads like a classic, old-fashioned, who-done-it, murder mystery. I love a good police/crime book, so this is why the book caught my attention. I have to say though that the second half of the book could do with another edit, as I spotted a few little mistakes. To be honest, these didn’t take away my enjoyment of the book, though one had me baffled, I had to ask my husband to read the paragraph to make sure I wasn’t reading it wrong. If you like a good crime book, one that doesn’t have any grizzly moments, and scenes of violence, then this will be a great book for you. Though this book can be read as a stand-alone, you would be better starting with book one – ‘A Death in Profile‘. Originally a corporate lawyer, he became an equity partner in a City of London law firm. He currently teaches at Cass Business School and acts as a board adviser to high growth companies.